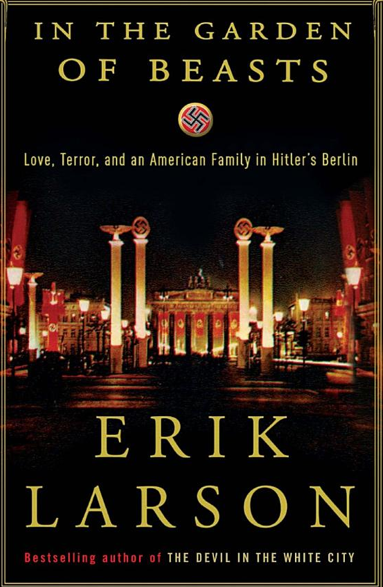 I just finished reading In the Garden of Beasts: Love, Terror, and an American Family in Hitler’s Berlin, by Erik Larson. The book, about an American family in Germany during Hitler’s rise to power, is a ripping read, like Larson’s Devil in the White City, Thunderstruck and Isaac’s Storm before it. In case you aren’t familiar, Larson’s forte is what I think of as “historical non-fiction”—books that are based on well-researched historical periods or events, but that have been narratively gussied up to read like a novel. OK, the “heat haze,” part is bad enough. Is that detail really mentioned in primary source material? Perhaps, but I doubt it. But what the hell is with these bicyclists, carrying or towing children but riding fast enough to pass a motorcar? Please. Larson is more restrained with these embellishments than most, which I guess is why this goof stuck out. As the title of the post says, this is just a pet peeve. Overall, I recommend the book.